Margaret Thatcher, Britain’s first female prime minister, passed away from a stroke yesterday at age 87. As I was doing research for my post today, I saw that a lot of readers had very strong feelings toward her, both good and bad. 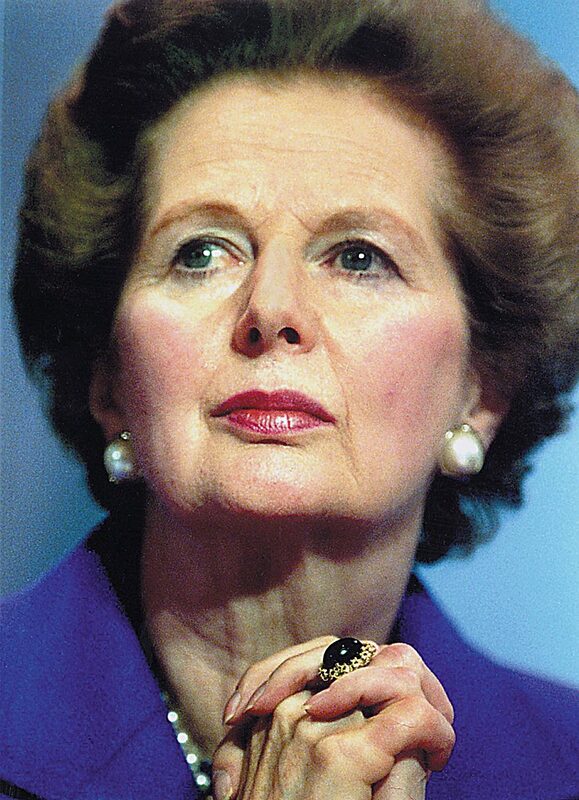 Commonly referred to as the Iron Lady, she had a strong personality and even more powerful leadership style. Regardless of anyone’s feelings toward her, we all have to agree that Margaret Thatcher was one of the most influential women in politics to date. Below are some of the most popular Margaret Thatcher quotes that sum up her leadership style & attitude to a tee. Being powerful is like being a lady. If you have to tell people you are, you aren’t. Disciplining yourself to do what you know is right and important, although difficult, is the highroad to pride, self-esteem and personal satisfaction. I’ve got a woman’s ability to stick to a job and get on with it when everyone else walks off and leaves it. I seem to smell the stench of appeasement in the air. I don’t mind how much my ministers talk, as long as they do what I say. There is no such thing as society. There are individual men and women and there are families.